Former University High School and NFL running back LaDanian Tomlinson was elected to the College Football Hall Of Fame on Thursday and talked to ESPN Central Texas about the honor. “I just wanted a chance to play college football, just to prove I was good enough to play on that level,” he added. The Waco native was a unanimous First Team All-American and the Doak Walker Award winner in 2000. 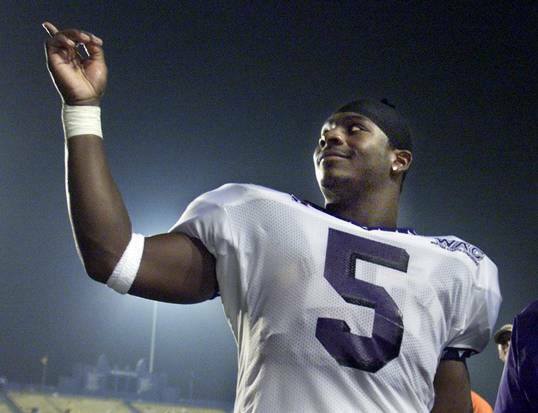 He was the WAC Offensive Player of the Year in 1999 who led TCU to consecutive co-shares of WAC title. He holds 15 school records and is TCU’s all-time leading rusher. He went on to become a five-time Pro Bowler and the 2006 NFL MVP with the San Diego Chargers. This year marks the first time the NFF combined inductees from the FBS, FCS, Division II, Division III and the NAIA into one class. The 14 players and two coaches will be officially inducted at the National Football Foundation’s Annual Awards Dinner on Dec. 9 at New York’s Waldorf Astoria Hotel. The new College Football Hall of Fame is currently under construction in Atlanta and is slated to open in August. Listen to LaDanian Tomlinson on ESPN Central Texas.